This outstanding sweet salad with juicy ripe nectarines and unique aroma is both, light and filling, and perfect for a summertime dinner. 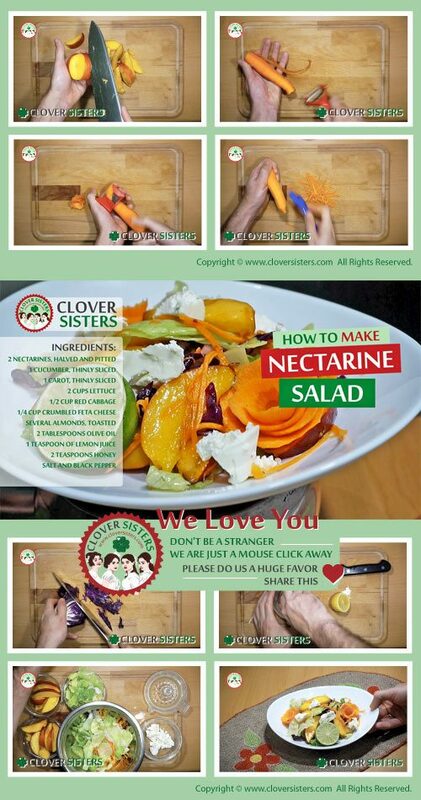 Place the nectarines, cucumbers, carrot, greens and crumbled feta cheese in in a large bowl and combine. Pour the extra virgin olive oil, lemon juice and honey over the nectarine mixture and toss until just combined. 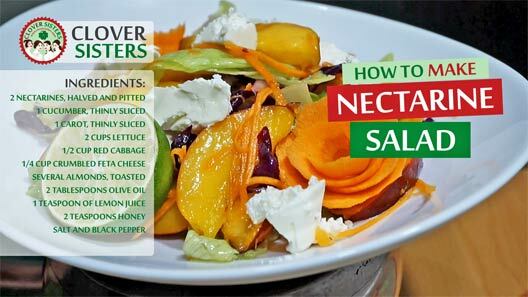 Distribute salad among the plates and season salad with salt and freshly ground black pepper.